We would be delighted to bake for your special day! Spilt Milk offers a variety of desserts & pastries to complement your wedding meal. Please click below to download our wedding information guide and sample menu. We also offer complimentary pie tastings for engaged couples at our shop in Oak Park, IL. 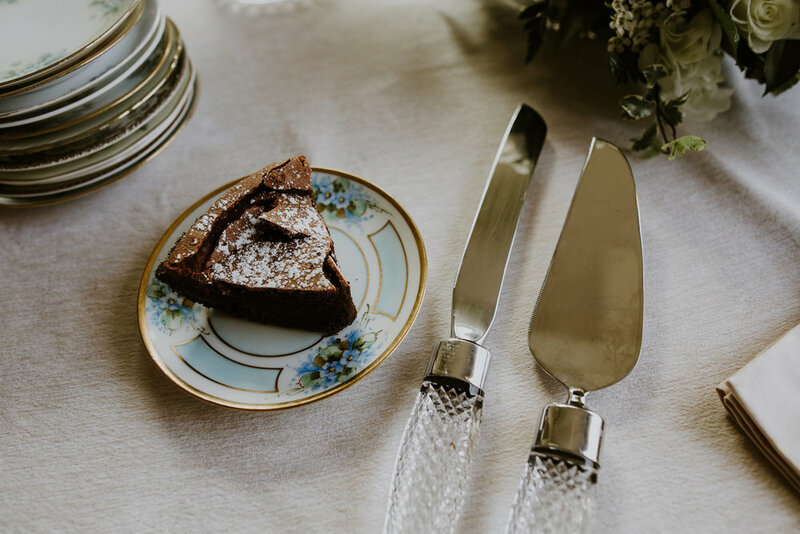 If you'd like to schedule a tasting or get in touch to discuss ordering, please click the "Contact Us" button below to fill out our wedding contact form. After you submit this form, our wedding coordinator will be in touch within 2 business days with more information. Please note, Spilt Milk does not offer wedding cakes or "decorated" pastries with images/writing/etc at this time. Click here to download our wedding information guide & sample menu. Thank you! Our wedding coordinator will be in touch within 2 business days.